IGP Balsamic Vinegar of Modena (Protected Geographical Indication). 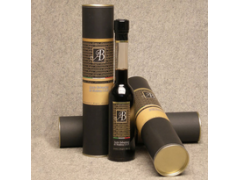 Tips：This page ["OPERA" CYLINDER Balsamic Vinegar] infomation provided by [Italy AB Fine Foods by B&A S.r.l.] ,the enterprise is responsible for the authenticity, accuracy and validity of the information content. www.tradeleo.com do not assume any guarantee of joint and several liability. A safe way to suggest that the two sides trade, to ensure the interests of both sides.